The latest promo of Kasautii has taken up viewers' anxiety and excitement to another level. 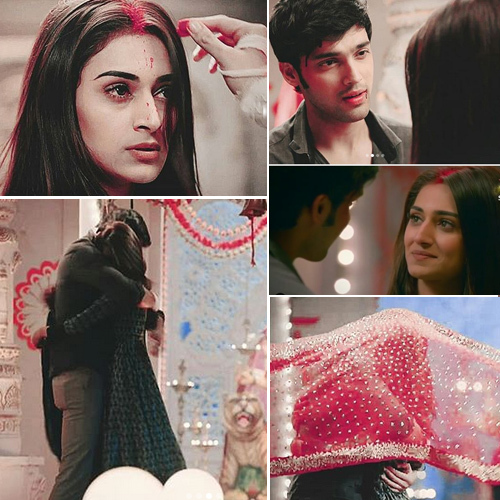 The new promo shows Anurag (Parth Samthaan) finally confessing his love to Prerna (Erica Fernandes) and marrying her. In upcoming episode, Anurag told Prerna how much he loves her but unfortunately, she was unconscious. The situation was quite similar to the initial episode when Anurag saved Prerna from the pandal fire but the feelings were different. Naveen Bajaj, the creepy uncle of Anurag is back to wreak havoc in Prerna's life. Last time he failed in marrying Prerna but this time he is hell-bent on making Prerna his. During the fire incident, Naveen enters as a part of the rescue team. Naveen takes an unconscious Prerna inside the ambulance but luckily Anurag sees him. He tries to go near them but is pushed aside by the rescue team.